Hope Springs Water is placing pure water wells in the Central American country of Nicaragua. 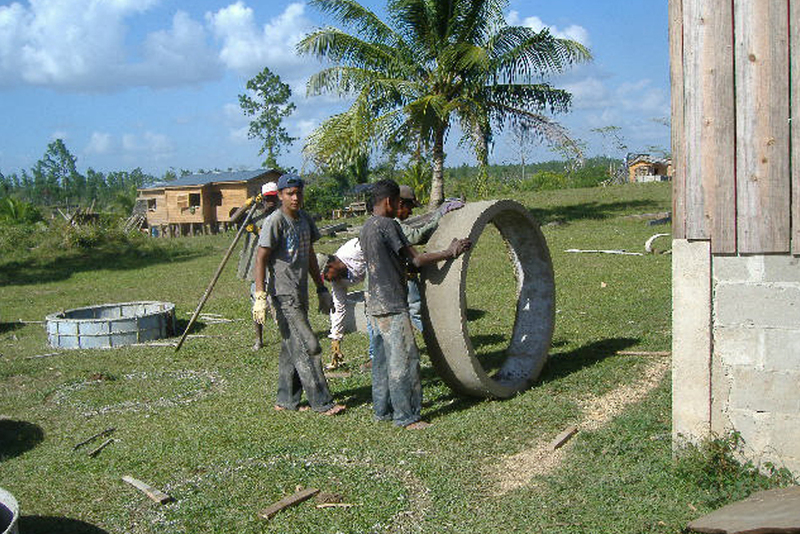 These wells benefit the Miskito Indians living along the Miskito Coast in eastern Nicaragua. The Miskito people live as subsistence farmers and fisherman in small villages of the lowland rain forest of Nicaragua and Honduras. The Miskito live in close family units in small autonomous villages and plant common field crops of rice, beans, and yucca. Many Miskito children stay home and work rather than attend school and health care is limited or non-existent in most villages. Over 1/3 of Miskito children are considered chronically malnourished and infant mortality is one of the highest in central America, while life expectancy is one of the lowest. The number one cause of infant death is intestinal parasites due to impure drinking water. One village, Santa Rosa, has about 45 Miskito families with no source of pure drinking water. Families drew their drinking and cooking water from a small stream that runs through the village; the same stream that women wash clothes in and in which animals and children play and bathe. The new well was funded through Hope Springs Water by a gift from the Student Senate of Trinity Valley Community College in Athens, Texas. Hope Springs Water also partnered with Palmer Ministries to provide a new well in the community of Kisalaya, located along the banks of the Coco River in Nicaragua. Kisalaya is a community of about 150 families. The Coco River, which is polluted by animals and waste from villages up-river, was also the villager’s only source of water. The new well is located in the front yard of the church and behind the public elementary school, allowing access for all of the villagers.